The Cathedral of St Andrew in St Andrews, Fife, Scotland was the seat of the Bishops (later Archbishops) of St Andrews from its foundation in 1158 until it fell into disuse after the Reformation. It is currently a ruined monument in the custody of Historic Scotland. The ruins indicate the great size of the building at 350 feet (over 100 metres) long. 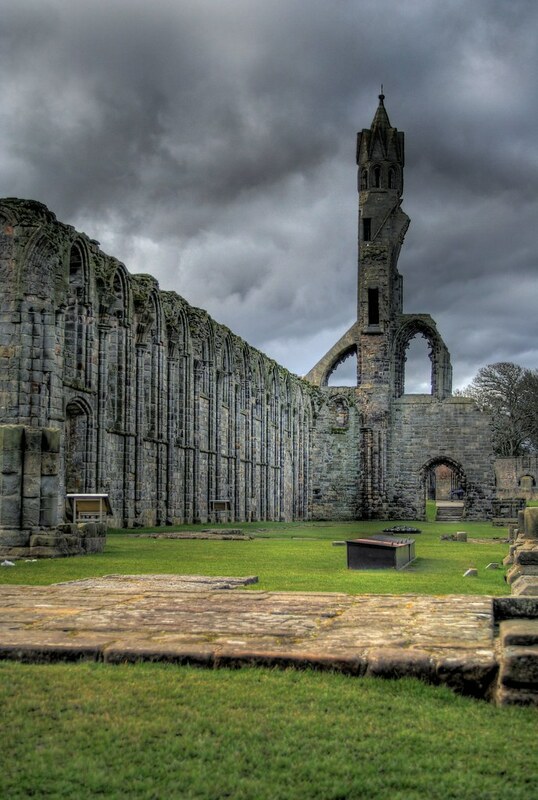 This entry was posted in Ruins, Scotland, St Andrews and tagged cathedral, Church, fife, Ruins, Scotland, St Andrews. Bookmark the permalink.